When I visit stores like Muji, I give thanks for online shopping. For the uninitiated, Muji is home to a huge collection of beautifully designed bibs and bobs. 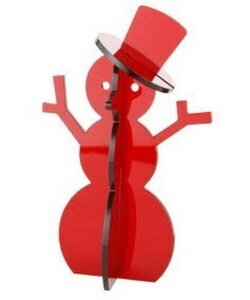 There are gadgets, toys, decorative pieces, accessories, fantastic storage solutions and lots more. My first Muji experience was a number of years ago when I bought ‘Tokyo’ and ‘New York City’ wooden building blocks for my nephew – appropriate given that my sister-in-law had spent most of her pregnancy in those cities. Muji has all sorts of gift solutions for even the trickiest person to buy for – here are a few Babyology favourites to whet the appetite. If you are looking for something thoroughly festive, the acrylic Santas, snowmen and Christmas trees are cool – they remind me of the brightly coloured acrylic building sets I played with when I was at kindergarten! There’s a very clever washable colouring book – perfect for taking on holiday when endless art supplies aren’t at hand. 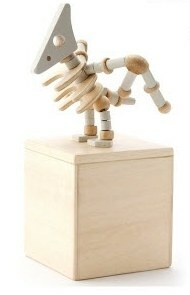 For children that love playing with toy animals, the wooden dioramas are sensational. There is a ‘Safari in a Box’, but I love the North Pole design and the Under the Sea sets the best. For dinosaur lovers, the T-Rex and Pterodactyl Music Boxes are amazing – pull the dinosaur figure until it collapses and then, as the music plays, the figure magically rebuilds itself! Finally, if you are planning a few trips over summer consider your mode of transport. 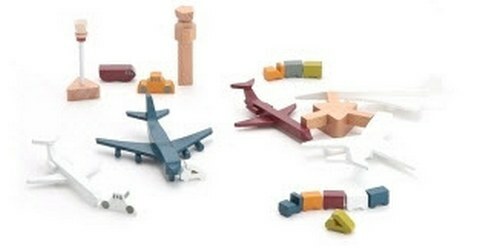 Muji have divine little wooden play transport sets that will keep kids busy. There’s an ‘Airport in a Bag’, a port and a train station. So you’ve spotted all this fab stuff and want it delivered straight to your door? Before you get too carried away, Muji stores don’t ship directly to Australia (much to the annoyance of enthusiasts here – and there’s plenty of blog grumbling about it! ), so you’ll have to rely on a freight forwarder from the UK or the US. Alternatively, other online stores carry specific Muji products. For example, buy the ‘Cities in a Bag’ from MoMA.